Spirit Guides are among our greatest allies and grant us both protection, vision and courage to help us navigate the unseen realms. Forging this relationship must be viewed as one of the fundamental practices to spiritual development. With these myriad spiritual energies surrounding us all the time, it is of greatest benefit to hear the lessons they are offering us which will aid and ease our human experience. James Van Praagh reminds us we are spiritual beings having a human experience. To be in intimate connection with these guiding benevolent forces gives us strength, hope and direction in a challenging world. Like a budding friendship, getting to know them is natural and easy. No special honing psychic ability exercises are required but rather an open heart and ability to listen are your best assets. Without stress or strain, they are always near awaiting an opportunity for connection, guidance and insight. To become a clear channel, simply relax, trust and allow yourself to feel their loving presence. Most prevalent and trusted, it is the Angels who are in devotion to humanity. Archangels can be many places at once while personal Guardian Angels are in service to us individually. Recognizing the wisdom of the animal kingdom, shamanic cultures work with Power Animals as personal totems of power. When we can embody the raw attributes of animals, we can be imbued with courage, focus and transcendence. Earth energies are in constant cohabitation with humans. Tree spirits, fairies, Air and Water beings will all fall under this category. Different from Angels, they are not devoted to human expansion, rather they are in loving service to the planet. They willingly help individuals when respect and honor of the Earth has been consistently demonstrated. Our first place of love and connection, it is our Ancestors who can most readily assist us. Replying to the request from their own bloodline, they act as fierce and protective Spirit Guides and should be our first point of contact. The African wisdom traditions honor this ancestral blessing inherently. We in the west, however, have fallen out of partnership with lineage spirits, preferring the omnipotent Angels. This is somewhat foolish for it is the ancestor’s commitment to the healing of their own descendants which make them arguably our strongest assets in the Spirit Realms. Those beings who have achieved enlightenment are dedicated to assisting humanity on our own ascension. St Germain, Buddha, Jesus, Metatron and Quan Yin are among the many faces of these guiding forces which are readily available to us and will often appear in our meditations. Contacting our Spirit Guides is one of the most readily available gifts to humanity. Yet few of us may remember how. There is no training required in learning how to contact your Spirit Guides rather a gentle and loving heart will draw in exactly the blessings you seek. As with all ceremony, your physical environment should be prepped to support these subtle energies. Light a candle, dim the lights, clear your clutter and create a peaceful space. Bring into this setting any objects of power which hold significance – crystals, sacred objects and spiritual art. These will form your ritual space and amplify the intentions of your connection. All spiritual endeavors (heck, all endeavors!) should be carried out with clear intention. With whom do you wish to work? What questions are you hoping to address? With clear focus, we can call in the beings most suited to answer our queries. If working on self healing, a gentle loving energy may be a perfect partnership – think Quan Yin or Mother Mary. 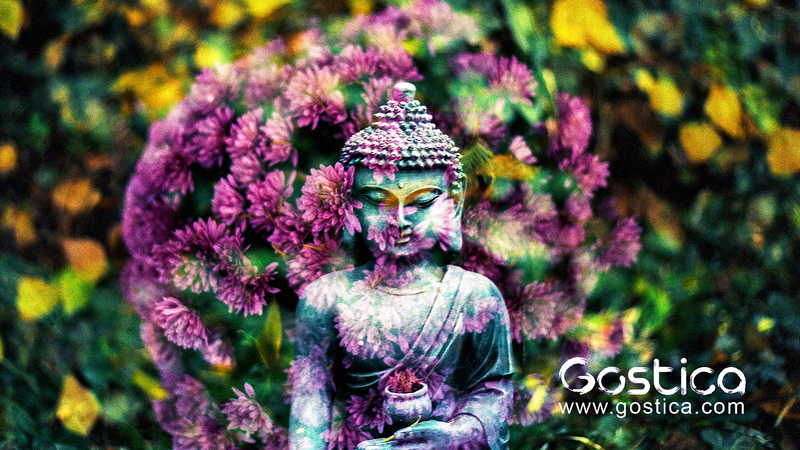 If we are seeking profound teachings, an Ascended Master like St. Germain or Buddha may be more suited. Carry a pure directive in your heart and you will attract the loving energy of the Guide most suited to assist you. We easily forget the ease of this gentle process! There is no need to feel rushed nor hurried. The messages will sweep over you as gently as the wind and it is only your ability to receive that will block your connection. As with breath, this communication with Spirit is our most primal and it cannot be done from the mind. Set no expectations – this way of being is rarely like fireworks! Rather with patience and trust, you will find yourself in communion with the divine energy forces at work all around you. Breathe is among our most available treasures and the surest way to bring ourselves in to the present moment. With each breath, allow your awareness to deepen and become softer. No strain nor stress. If you find yourself tense, stretching can alleviate some of this built up energy. Laying down is also a grand idea but don’t make yourself too comfortable or you may find yourself wonderfully asleep! To find yourself in the stillness of breath will open potent gateways to spirit. In the quiet center where the mental chatter ceases is where you will find the whispering of your Spirit Guides. As with all spiritual work, the dictates of your heart will call in like frequencies. A simple clearing will bless yourself and the space. Envision yourself in a pyramid of white light and let these energies wash away anything not of your highest living good. When you are ready, relaxed and willing to allow the messages to come to you, ask that the most loving energy willing to assist you be called forth now. The most profound of all sacred sounds is our own voice. Chanting is the process by which we make the sounds of the universe. Making these sounds raises our vibrations and attunes our energy to the most powerful forces of spirit. Chant “Om” (Phonetically, this sounds like: AaaaUuuuMmmm) seven times to align your energy with that of the divine. You will quickly discover chanting to be a perfect portal to contacting your spirit guides. As your breathing slows and sacred space is activated, you may notice a shift in your being. This is the turning on of your light body which will magnetically attract the Spirit Guides, Angels and Ascended Masters. In the bliss of the abyss, call in your personal Guides and Angels. Share with them your intention and give them clear permission to join with you. We live in a free will universe where our command is the most respected and honored of all sacred laws. If you do not explicitly give permission, you may miss their encounters and simply enjoy the rest offered in this sacred space. Their messages may come as visions, impressions, smells or thoughts. I wish the messages were always blazingly clear, but this is often not the case. Pay attention to everything you experience for it is their direct way of being in communication with you now. This too is a flexing of our free will… and we are dense and doubting creatures. Ask for a sign in your day-to-day life that affirms your connection and the messages they offer. Please don’t see this as “telling them what to do,” rather it is a way of loving reassurance that will bolster your faith in them. This is a sure way they can express their presence and they are happy to oblige so long as you ask! On many occasions this is for me the most magical of all forms of communication! When I was contemplating my move from Chicago to Colorado, I asked for a sign to affirm my decision. I saw 3 shooting stars in a night, was given a book the next day by a friend on native plants of Colorado and was invited by another to visit her in the western plains to see if I liked her area! Talk about cosmic confirmation. I packed up and had moved within 6 months! Spirit Guides are in service to us and as such they can only help in the ways we explicitly ask. Beyond the validation of a sign, ask for a message or a blessing while you are in sacred connection with them. This could be guidance, insight or a sneak peek at what’s in store. The blessing could be a healing or an activation of your psychic skills. Please do not feel bad asking and instead see this as their devotion and love for you put to work! We all like to be appreciated and this small act from you will ensure you continue to incur their goodwill. Gratitude is our way of opening to more blessings when we can be humble and acknowledging of those that have already been granted. Expressing thanks aloud will give your ceremony extra credence as it shows them resolutely you know they are there and are willing to bring your voice and your will to the reality of their presence. When walking through these sacred dimensions, we must take precautions to return the ways we came. See yourself leaving through the same means you entered taking any paths you may have ventured. Ask your Guides to help you with this with zero stress… they know the way! Soul fragmentation occurs when we leave behind pieces of ourselves (in both physical and non- physical realities). To retrace carefully your steps ensure you gather all aspects of yourself and can bring our full power and potential back to you now. Allow yourself time to come fully back into your body. You may choose to write down your experience or take a nap to integrate. Be gentle as you allow this state and experience to be received at all levels of your being. You may feel yourself a bit altered after these encounters, take that as a sign in your body that something had indeed occurred! Eating, walking in nature and baths are a perfect way to bring you back to you. Sacred space is best honored when we recognize it is a thriving part of our reality. To only visit once shows little regard for the relationships formed. Instead, know this place of loving support is available to you always and make use of it! I tend to visit not just when I need help but anytime. Sharing your blessings with them and acknowledging their part goes far! They like to know their efforts are not only appreciated but are working to help us be better humans. To join in these spaces of communication with our Spirit Guides regularly reminds us the world is far more expansive than what most people believe. It will enhance our psychic abilities, ensure we are on the right track and can lead to fulfilling our destiny. Before long our ability to receive these messages can occur outside of sanctioned ritual and we begin to receive messages all the time. This was written by Andye Murphy for Gaia.